As birthdays come and go we, as a rule, don’t do much to celebrate them, but every once in a while there’s one that needs some special attention. Mr. D. celebrated his most recent one, a number ending in O, this past weekend, so I thought it would be fun to surprise him with a party. The surprise turned into a double whammy when we got the news that we had become grandparents with the baby being born just after midnight on 10/19, so Mr. D. and the baby now have the same birthday. This baby was born in N.C. so we have only seen pictures of her at this point. I can’t wait to see and hold her!! Trying to throw a surprise party for someone who lives in the same house with you is certainly tricky and sneaky. I think I did very well right up until the end when he figured it out. But it was fun and all went well. Someone made the comment that they love to come to our house because the food is always so good. I hope you think so too, as I plan to share the recipes for the starred items below, and they will cover several posts this week and next. With the menu as an overview of what’s to come, today the recipe is for the Salsa Hot Wings. These are not the usual Buffalo Hot Wings that many of you know and love. I think these are easier to make and very tasty with the heat level open to your preference. Everyone seemed to enjoy them. I know they disappeared quickly and I had only one small piece to vouch for how good they are. Luckily I took the photos as I was making them and the one shot of them in the serving dish just prior to serving them, else you’d be looking at an empty bowl. What I like about this recipe is that the sauce is largely based on a jar of ready made salsa, so you can use your favorite kind, mild to hot, whatever you like. This gets mixed with some honey and some grated fresh ginger for a little “kick”, pureed in a blender till smooth, then cooked down for a while to thicken it. Lastly a tad of fresh lime juice finishes it off. Pour this sauce over the cooked chicken wing portions and toss to coat. Serve with lime wedges. Sectioning chicken wings can be a time consuming task, but I was fortunate in finding Perdue frozen wings, already sectioned, in 5-pound bags, ready to cook. I cooked 2 bags of them and made a double recipe of the sauce. 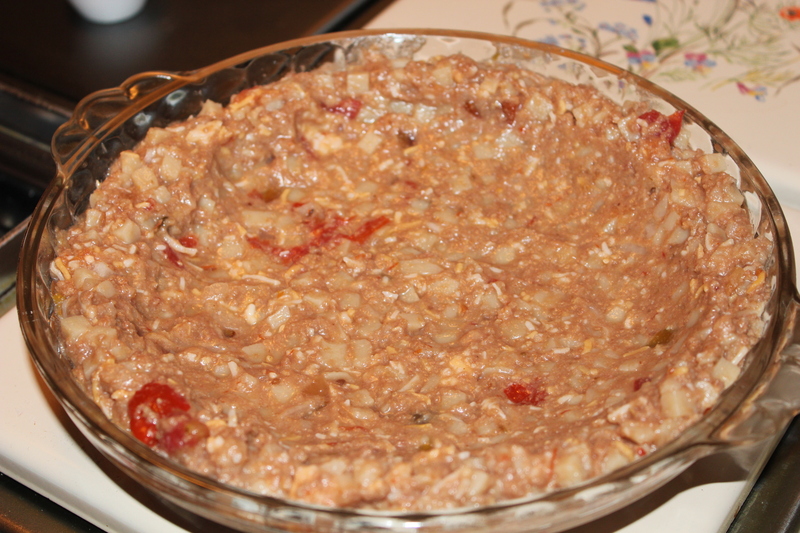 Salsa pureed with honey and ginger. 1. Preheat oven to 475*F. Line a large baking sheet with foil. 2. Combine the salsa, honey and ginger in a blender container and puree until smooth. 3. Transfer to a medium saucepan and bring to a boil. Reduce heat and cook for 15 – 20 minutes till reduced by about half. Stir in the lime juice. 4. Meanwhile, lay wings in a single water on baking sheet. Season with salt and pepper. Bake till golden and crisp, and cooked through, about 30 minutes. Lay wing pieces on foil-lined pan and cook till golden and crisp. These have a very high “YUM” factor. 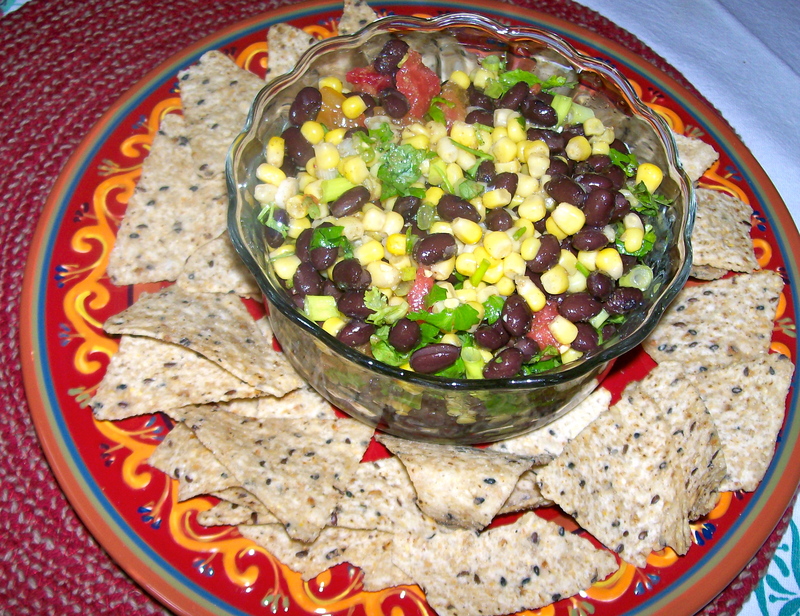 Avocado-Mango Salsa with roast corn chips. Sometimes you just gotta have a snack! And if that snack is good for you, you’ll have waaay less guilt while you munch away. So is anything better to snack on than salsa and chips? Not in my house there isn’t. I think most people know how good avocados are for us. Each serving of this snack provides more than half the daily requirement of potassium and is also a good source of fiber and monounsaturated fat. A serving of 3 tablespoons of salsa and 6 chips is only 92 calories. Use your own judgement in deciding if you can have more than 1 serving????? It is so good I think you will want to have more. Whoever had the idea to combine these ingredients was really on to something: creamy avocado, sweet mango, spicy cilantro, and tangy lime. They just belong together. Add in the crispiness of corn tortillas sprinkled with a little salt. WOW! Mr. D. says it’s the best salsa he’s ever had. He’s become bored with the usual red salsa(s) that are tangy and spicy. This makes a nice change from all that and it might even be considered “addicting”. If you would love to have a bowl of this yumminess pop up in front of you right now, you are not alone. But hang on for a bit, because it only takes a few minutes to make it. Part of the enjoyment of this salsa is the chunkiness of the avocado and mango, so don’t mash them. Once mixed, let the mixture stand for 10 minutes to allow flavors to blend. We loved the home-made chips too. They are very crisp and have just a tad of salt sprinkled on them. A tiny bit more salt in the salsa is all that’s needed to bring this whole taste experience together in a big way. The colors of the ingredients make it appetizing. 2. 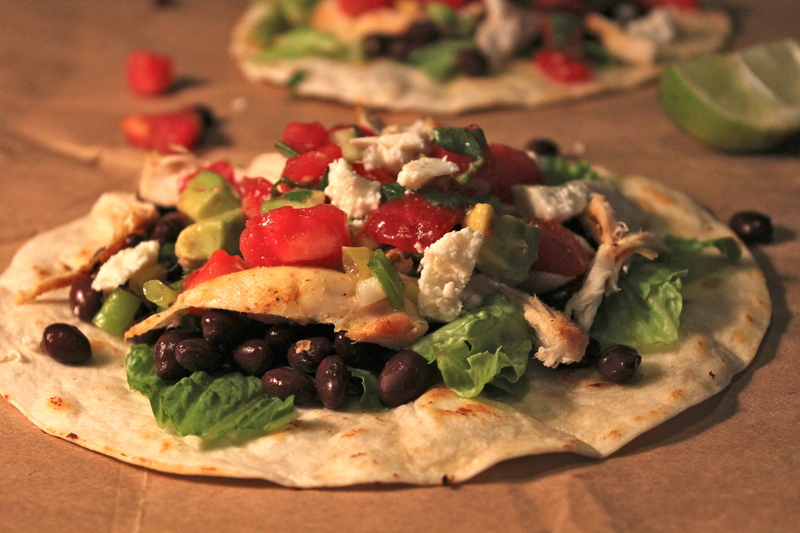 Arrange tortillas wedges in a single layer on baking sheets coated with cooking spray. Coat wedges with cooking spray. Sprinkle 1/8 teaspoon salt evenly over the wedges. Bake at 425* for 8 minutes or until crisp. Cut each tortilla into 6 wedges. They become crispy and golden. 3. 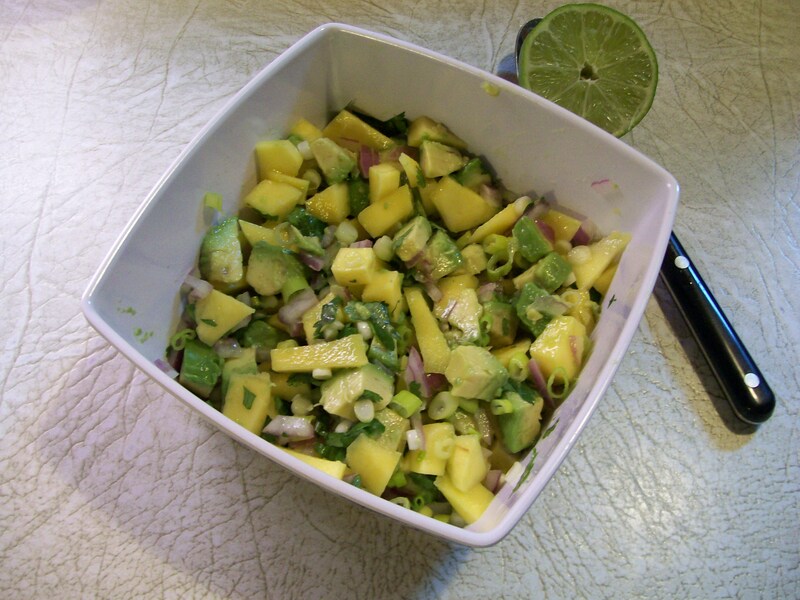 Combine remaining 1/8 teaspoon salt, avocado, mango, chopped cilantro, and juice, tossing gently. Garnish with cilantro sprigs, if desired. Let stand 10 minutes. Serve with chips. Shrimp tacos with corn and avocado salsa. Tacos made with shrimp and a tasty corn and avocado salsa make a light and easy meal. The shrimp are sautéed with garlic, cumin and coriander, and the salsa, made with corn, chopped tomato, red onion, jalapeño pepper, cilantro, avocado and lime, provides the perfect combination of flavors to compliment the shrimp. Fresh corn is preferred, but frozen corn will work in a pinch. You can also make your own taco corn tortillas, as described in the recipe notes, or use “store bought” ones. 1. Place the shrimp in a large bowl and toss with the olive oil, garlic, cumin, coriander and Old Bay Seasoning. Set aside. 2. Combine the corn, tomato, red onion, jalapeño, lime juice and cilantro. Season to taste with salt and pepper, then add the avocado, taste and season again. Set aside. This can be made in advance and refrigerated until meal time. Note: If your corn is very fresh and tender, you can use the kernels raw. If not, place them in a shallow dish, cover and microwave for 1 1/2 to 2 minutes on high. 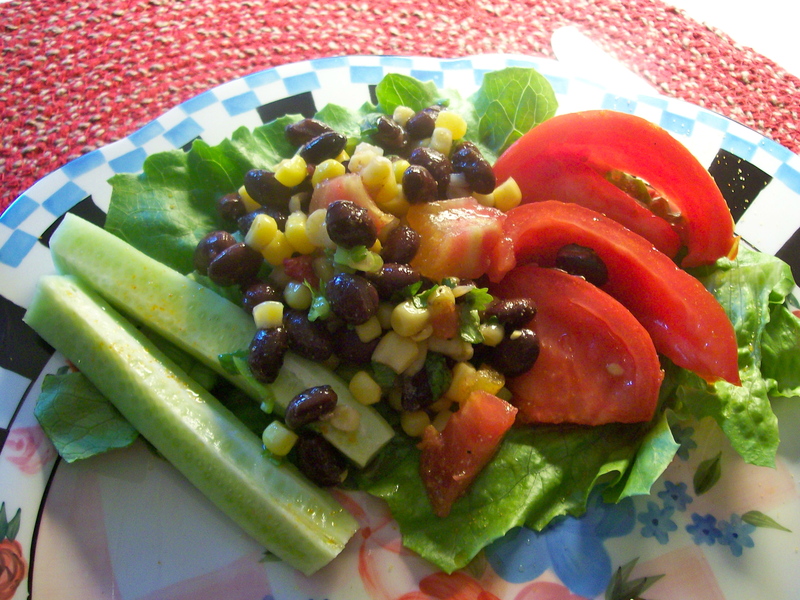 If using frozen corn, be sure to thaw and blot away any excess moisture with a paper towel before adding to the salsa. 3. Heat a heavy skillet over medium-high heat. Add the shrimp and sauté until pink and opaque, about 2 minutes. To serve, spoon a portion of the corn salsa into the bottom of each taco shell. Top with shrimp and a sprinkling of cheese. 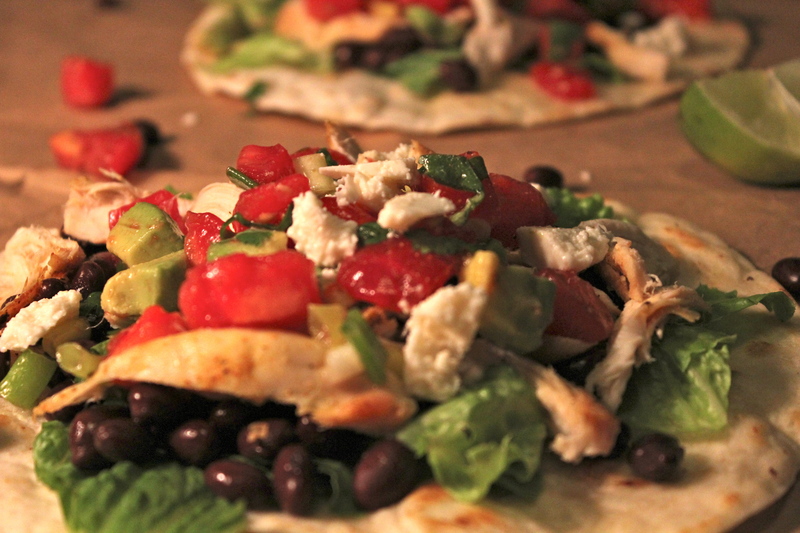 Preheat the oven to 375*F. Lightly brush or spray both sides of the 6-inch tortillas with vegetable oil. Turn a 12 cup muffin pan upside down, fold the tortillas in half and position them between the muffin cups to support the sides in a taco shape. Bake until crisp, 8 – 10 minutes. I love to make salsas. They are so easy. A salsa can really elevate an entree above the ordinary and help bring the flavors of a dish together. 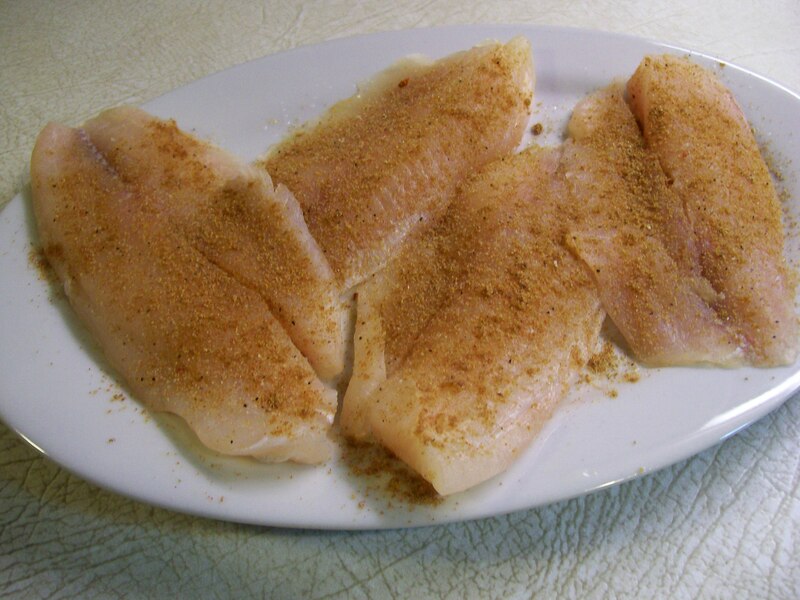 Recently I cooked some flounder filets, prepared very simply by lightly dusting with a mixture of flour and cornmeal then pan frying in a little butter and olive oil. A very ordinary way to quickly cook fish fillets. 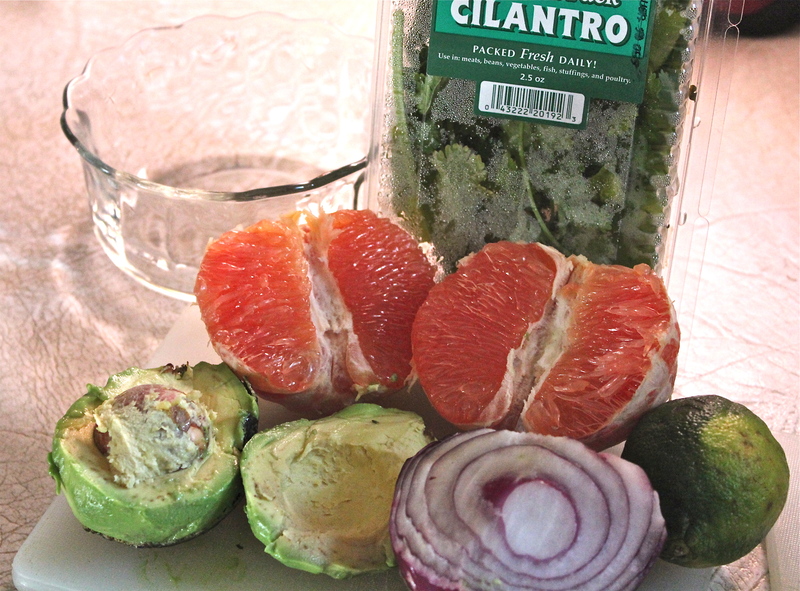 But to go along with it, I made this salsa using grapefruit and avocado. My original intention was to have fish tacos, that’s why I made the salsa. 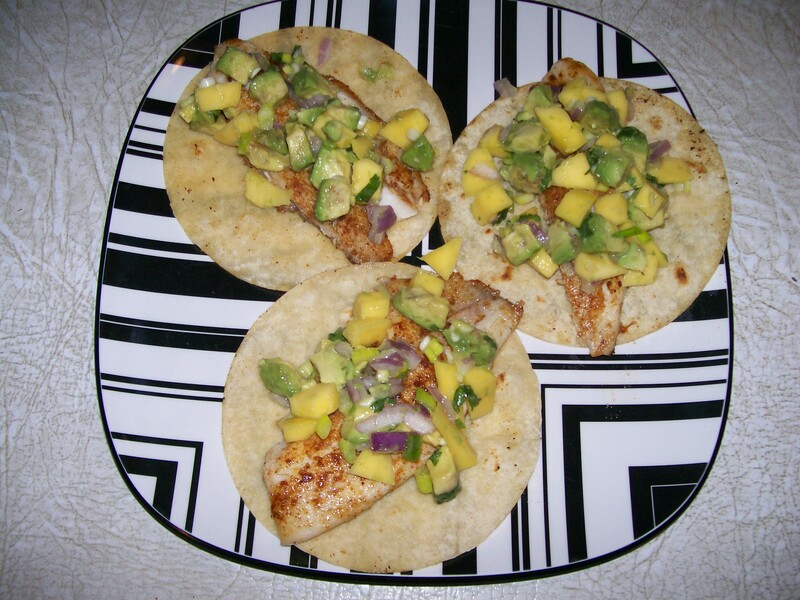 As I finished making it, however, I tasted it, and WOW, my taste buds woke up and started to sing!…it was fabulous and I didn’t want it to get lost in a taco. I just loved the way the citrus paired with the avocado. So I served it as an accompaniment to the flounder, along with a vegetable and a salad. 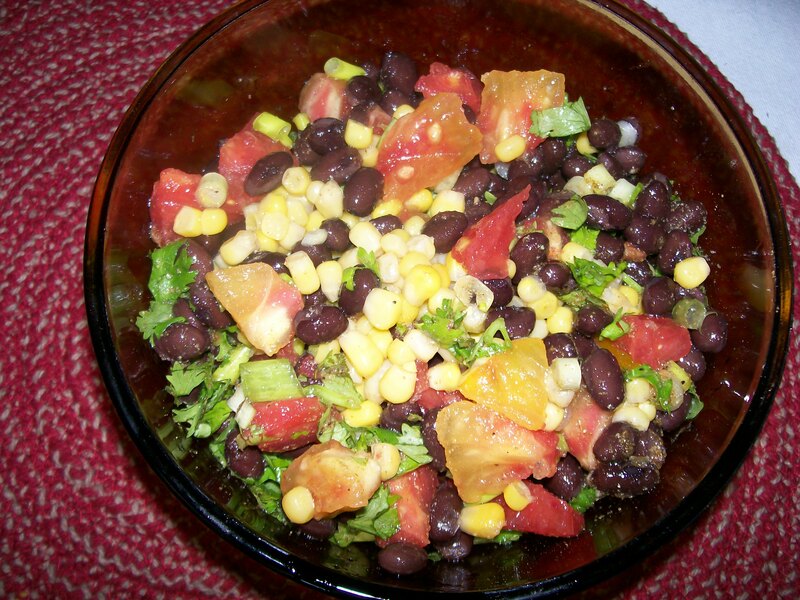 I know I will be making this salsa again very soon, I wanted to eat it by the bowlful! Only a few ingredients needed for this salsa. 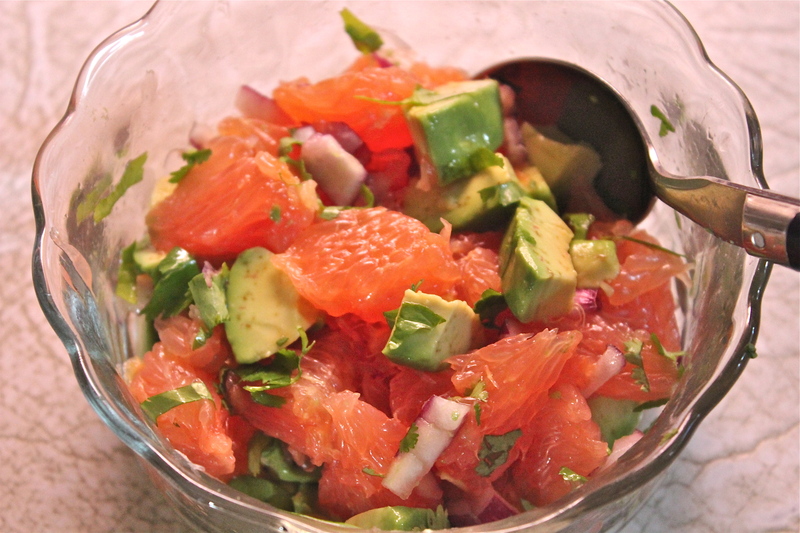 Combine grapefruit, avocado, onion, cilantro, jalapeño , and lime juice in a medium bowl. Season with salt and set aside. That’s It! A great accompaniment to a mild flavored fish fillet. 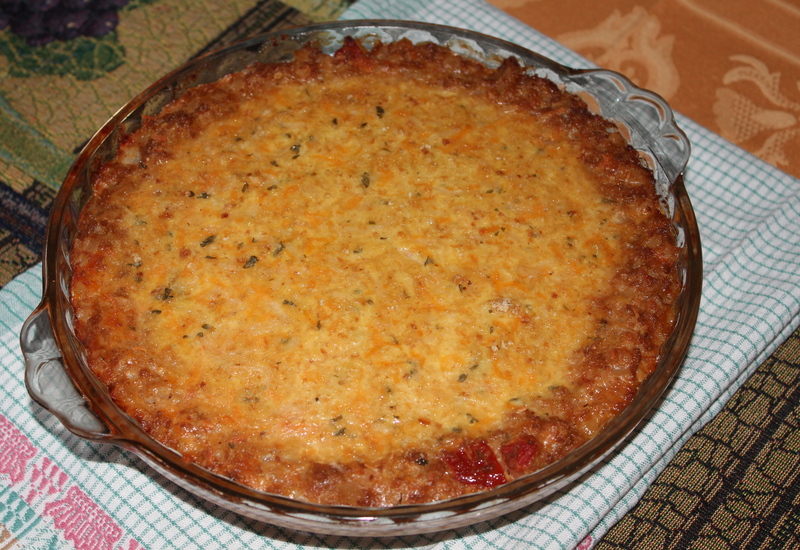 Today is National Corn Beef Hash Day, and I just happen to have a great recipe that uses corn beef hash. This is a recipe I developed some time ago when Mr. D. was in charge of putting on a breakfast for a men’s group he belongs to. We wanted something easy to prepare and serve, and something that was hearty enough to satisfy guys’ appetites. This was definitely it. Along with it we served a fruit cup and corn muffins. Since I knew Hash Day was coming up I made it again last weekend, so now I can share it with all of you. As a time saver I usually make this up the evening before so it’s ready to bake in the morning. Cover with plastic wrap and refrigerate. Sprinkle on the crumb and cheese mixture just before baking. 1. Lightly grease or spray a 9 inch round baking dish. A deep-dish pie plate is good. Preheat oven to 375 degrees. 2. In a medium bowl mix eggs with a whisk, add in all but 2 Tablespoons of the cheese, salsa, onion and green pepper. Stir to mix. 3. In another bowl, mix hash with 3/4 cup of the egg mixture. 4. 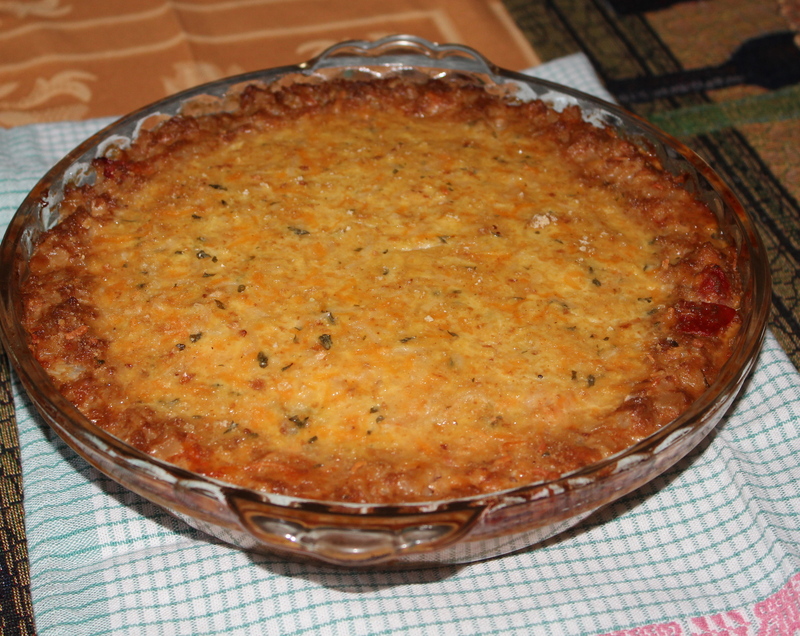 Spoon hash mixture into the baking dish, spreading it evenly across bottom and up the sides to form a crust. 5. Pour the remaining egg mixture in the center. If baking later, cover with plastic wrap and refrigerate at this point. 6. Mix the bread crumbs with the reserved 2 Tablespoons cheese, and sprinkle over the top. 7. 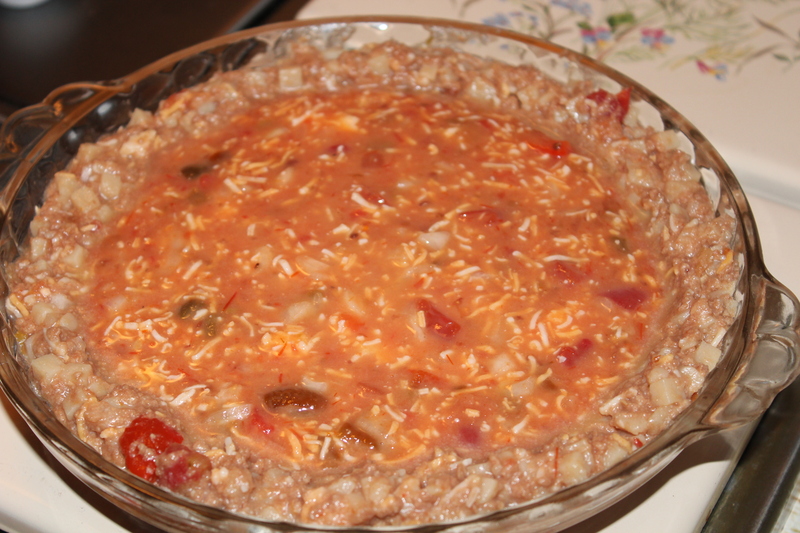 Bake for 35 – 40 minutes till browned and tests done in the center. 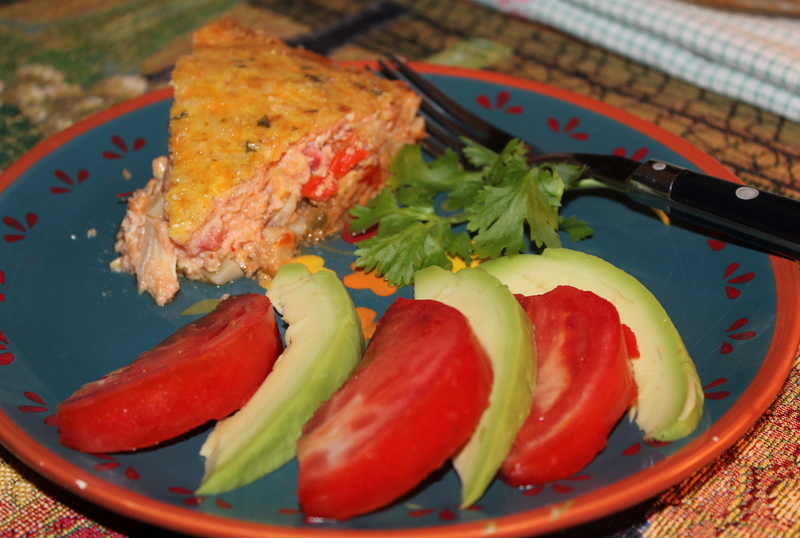 To serve, cut in wedges and plate with sliced tomato and avocado. Occasionally when I’m out for the day and I know I won’t have much time to prepare a full meal I’ll pick up a Rotisserie Chicken at my local market. I’ll add a vegetable and a salad and dinner’s ready. But what happens to the chicken that wasn’t eaten at that meal? Usually I make chicken salad with it for lunches. But last week when I was confronted with this situation, I wanted to do something different; I was tired of chicken salad. Luckily for me I came across this recipe for Chicken Tostadas and Avocado Salsa that calls for two cups of shredded rotisserie chicken. With a few additional ingredients that you probably already have on hand, this goes together quickly, and is fun to eat. My husband and I were comfortable eating this whole recipe. Unless you are serving children, just one of these is not enough. They are a little messy to eat, but the flavor is sooo good. I’m sure any substitutions you might make would not detract from the enjoyment of eating these. 1. Combine the first 5 ingredients in a medium bowl, stirring with a whisk. 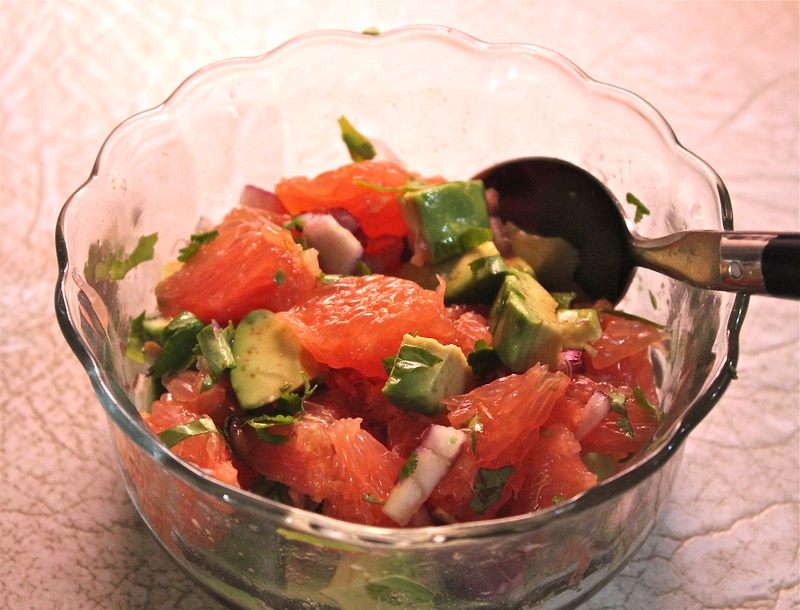 Add the tomato, onion, cilantro and avocado; toss gently to coat. 2. Heat a large cast-iron or nonstick skillet over medium heat. Add 3/4 teaspoon oil to pan; swirl to coat. 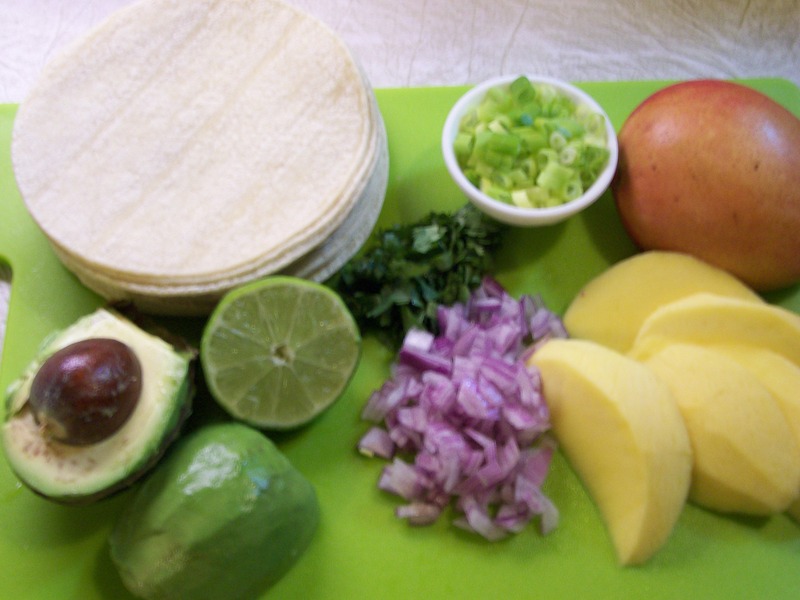 Add 1 tortilla to pan; cook 1 minute on each side or until browned. Repeat this 3 more times with remaining 2 1/4 teaspoons oil and tortillas.